So many things going on… here is a bit of a run down about some recent projects and things, and then I’ll share some more info in another post about PLUNGE – the multisensory immersive installation I have been working on. The series has featured performances by Kent Macpherson, Yotam Levy, Paul Bradley, Liam Wooding, David Sidwell, Emma Carpenter and myself. 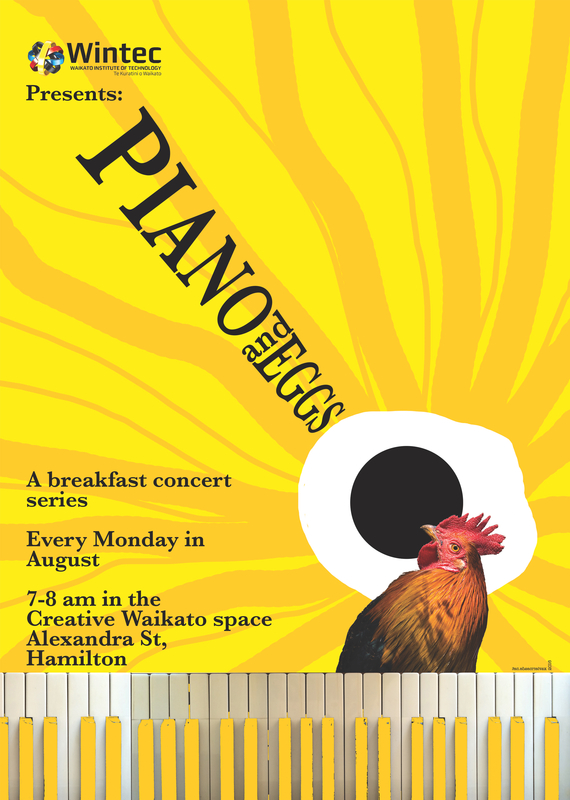 The final concert in the series (Monday 29th August at 7am) is by David Sidwell and Julia Booth – they will be playing an exciting repertoire including original compositions by both David Sidwell and myself – in fact it will be the Hamilton premiere of a song cycle I wrote with Majella Cullinane called “CUT AWAY THE MASTS“. This will be followed by another performance by DR. MESMER’S PRIVATE ARMY – Kent Macpherson, Yotam Levy, Paul Bradley and myself with special guest Horomona Horo. 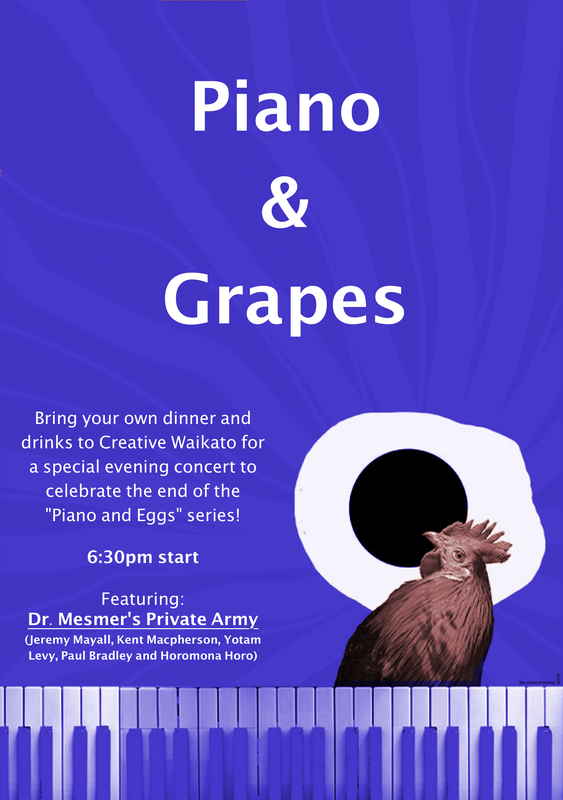 It is a one-off celebration of the end of the series and takes place on Monday 29th August at 6:30pm in Creative Waikato. The concert is PIANO AND GRAPES. Following that will be install for PLUNGE… more info soon!